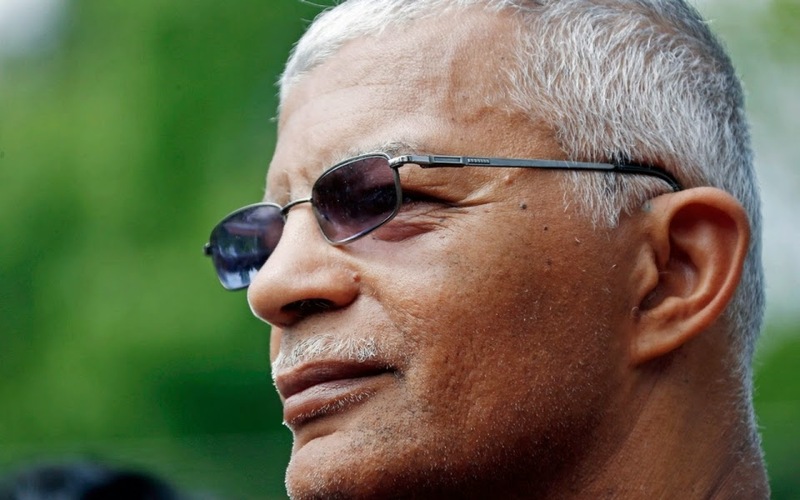 Jackson Mayor Chokwe Lumumba has died at the age of 66. 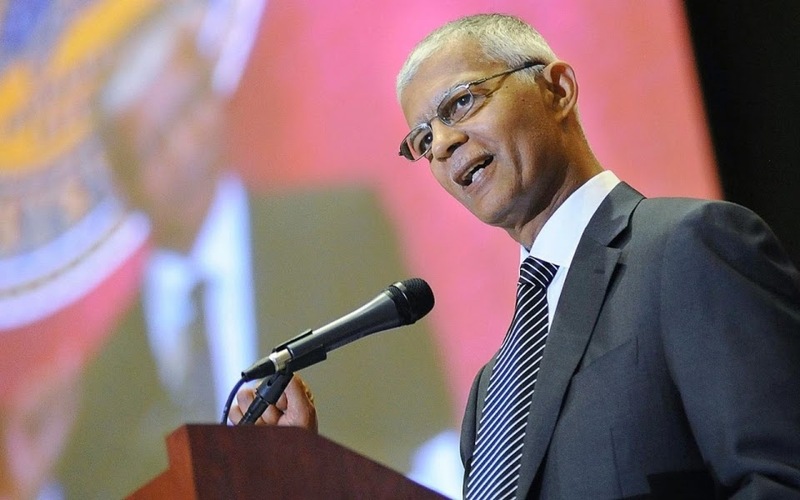 Jackson Mayor Chokwe Lumumba, a prominent attorney and human rights advocate who persuaded local voters into accepting a sales tax to fix crumbling roads and infrastructure in Mississippi’s capital city, died Tuesday, authorities said. He was 66. City officials said Lumumba died at St. Dominic Hospital. A cause of death was not immediately clear, though City Council president Charles Tillman, who was sworn in as acting mayor, said he had met Monday with Lumumba, who had a cold. “He kind of joked around about it,” Tillman said. Lumumba served one term on the City Council and was sworn in as mayor last July. He was one of two candidates who defeated then-Mayor Harvey Johnson Jr. in the Democratic primary in early June. Lumumba then defeated businessman Jonathan Lee in the general election. As mayor, Lumumba persuaded Jackson voters to pass a referendum in January to add a 1-cent local sales tax to help pay for improvements to crumbling roads and an aging water and sewer system. He said then that the city needed an estimated $1.2 billion to completely fix its infrastructure, and raising sales tax by 1 percent would bring in at least $15 million a year until the tax expires in 20 years. Lumumba said the local tax will improve infrastructure, create jobs and increase public safety. “It is with a heavy heart that we inform you that our beloved brother, human rights activist and mayor of this great city, Mayor Chokwe Lumumba, passed away this afternoon,” Safiya Omari, Lumumba’s chief of staff, said Tuesday night. Security guards escorted her away in tears. Omari made the announcement under Lumumba’s portrait inside Jackson’s antebellum city hall and surrounded by the seven members of the City Council. The building was crowded with city employees, politicians, ministers and other residents of Mississippi’s largest city. After the City Council adjourned its brief meeting, Bishop Ronnie Crudup, one of Jackson’s most prominent ministers, led the crowd in prayer. “Lord, he was a good man, a man who had vision, vision for the city,” Crudup prayed. City Council member Melvin Priester Jr. credited Lumumba for bringing a spirit of openness to city government. “He has done a great deal in the last couple of months to change the culture of government in Jackson,” said Priester, who was elected earlier this year to Lumumba’s former seat on the City Council. In 2011, Lumumba persuaded then-Gov. Haley Barbour, a Republican, to release sisters Jamie Scott and Gladys Scott from a Mississippi prison after they had served 16 years for an armed robbery they said they didn’t commit. Barbour suspended their life sentences and released them. The sisters did not receive a pardon from Barbour when he left office in early 2012, although he granted pardons and other reprieves to more than 200 people during his final days as governor. Barbour released the women on the condition that Gladys give a kidney to Jamie. Lumumba was born in Detroit as Edwin Taliaferro, and changed his name in 1969, when he was in his early 20s. He said he took his new first name from an African tribe that resisted slavery centuries ago and his last name from African independence leader Patrice Lumumba. He moved to Jackson in 1971 as a human rights activist. He went to law school in Michigan in the mid-1970s and returned to Jackson in 1988. Lumumba was involved with the Republic of New Afrika in the 1970s and ’80s. He said in 2013 that the group had advocated “an independent predominantly black government” in the southeastern U.S. Lumumba was vice president of the group during part of his stint. The group also advocated reparations for slavery, and was watched by an FBI counterintelligence operation. Lumumba said during the 2013 mayoral campaign that he has shown he can lead across racial lines. In 1990, when the Ku Klux Klan planned to march through Jackson, he said he organized counterdemonstrators, including a predominantly white group of Millsaps College students. He also said he wants to empower people who have been left out of the economic system.